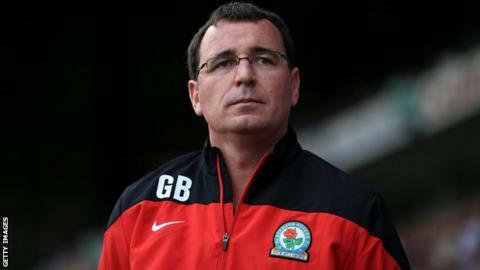 Blackburn boss Gary Bowyer has called for greater use of video technology after his side were defeated by a controversial Wolves goal on Saturday. David Edwards appeared to score with his hand as the visitors won 2-1. "My argument with it is that nearly 30 years ago Maradona did the same thing," Bowyer told BBC Radio Lancashire. "With all the wonderful technology that's available and all the cameras that are used in sport - bar football - we still haven't progressed." Bowyer continued: "As a result we've lost a point at least and nothing seems to be getting done. That's the bit that really gets you." Meanwhile, Bowyer has denied reports that striker Jordan Rhodes could exit the club in a cash-plus-player deal, as Blackburn are prevented from such an agreement under the terms of their transfer embargo. The Blackburn boss confirmed to BBC 5 live last week that Rovers had rejected an offer from Middlesbrough, reported to be about £12m, for the Scotland international.